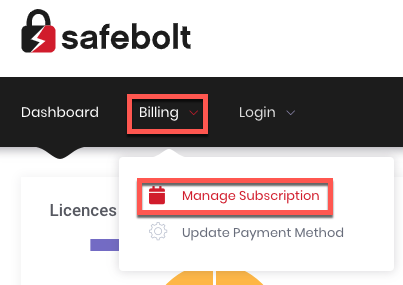 To pause your subscription, first login to your SafeBolt dashboard. Once you’ve logged into the dashboard, click on the “Billing” tab in the menu bar. Underneath your subscription information, click the red “Pause subscription” button.